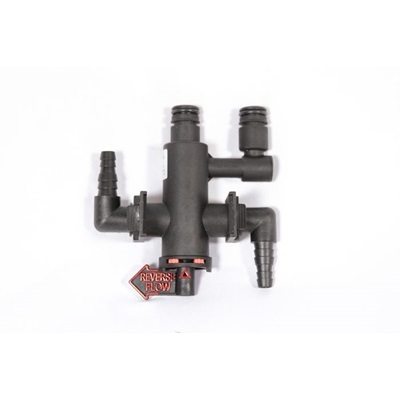 Flojet's G56 Beerjet Flow Reversal Valve is designed as an add-on accessory for G56 Beer Pumps (50-1135-00 and 50-1150-00) to allow beer line cleaners to run cleaning solution through a Flojet G56 pump driven beer system in both directions. Running cleaning solution through draught beer systems in alternating directions from the faucet to the tapping device (and vice versa) has been found to enhance cleaning efficiency. 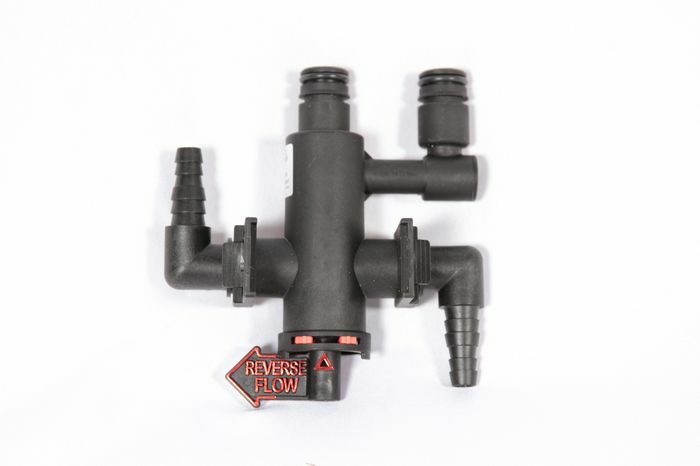 Further, a multiple beer faucet system utilizing G56 beer pumps with Flow Reversal Valves allows for multiple lines to be cleaned at one time. This can be done by connecting keg taps with double flushers and connecting faucets with cleaning jumpers.